I Didn’t Get a Test! Don’t you hate when kids do this? I think some do it to avoid the work, but others just don’t seem to know any better. 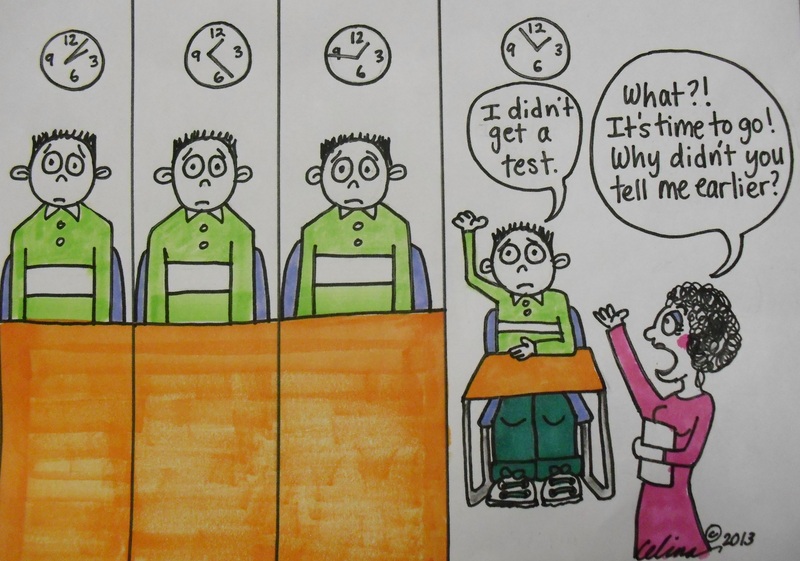 Then they complain that they don’t have enough time to do the test. And they blame YOU.